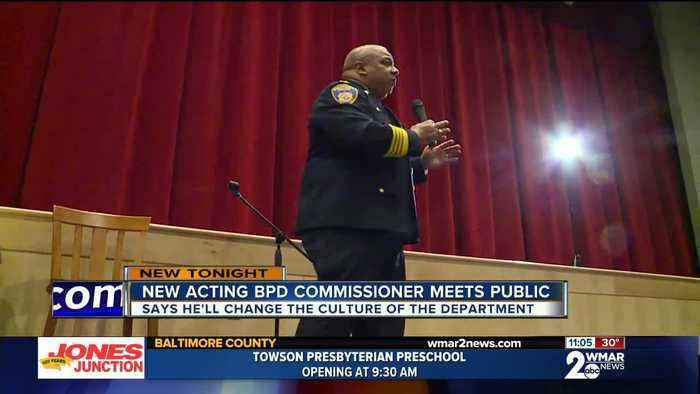 Acting Baltimore City Police Commissioner Michael Harrison took center stage in Northwest Baltimore. A chief of staff, a director of governmental affairs, several Catherine Pugh aides; all are now on a leave of absence, joining the mayor on the sidelines of city hall. 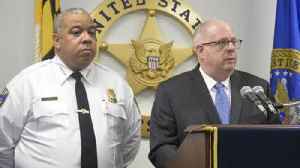 Ex officio Mayor Jack Young..
Baltimore Police Commissioner Michael Harrison and Governor Larry Hogan announced that 264 people were arrested in the past month as part of a crackdown on violent fugitives in Baltimore. 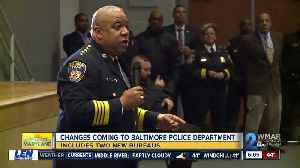 (Kevin..
After being officially appointed and sworn in, the Michael Harrison era of the Baltimore Police Department became reality. 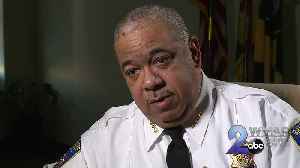 New Baltimore Police Commissioner MIchael Harrison spoke with WMAR-2 News..